Published by Jonathan Cape, 2008 . 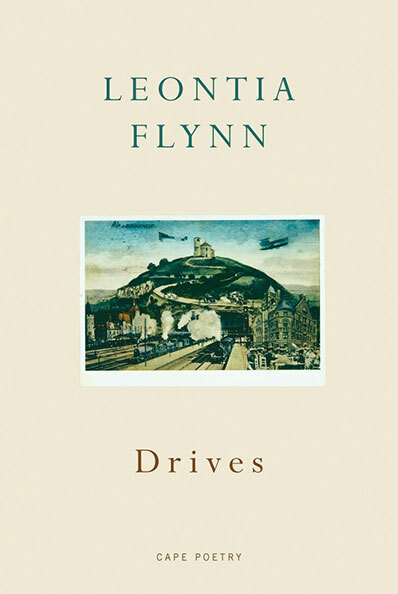 Following on from the assured day-to-day poems of her first collection, Leontia Flynn’s second, Drives, is a book of restless journeys – real and imaginary – interspersed with a series of sonnets on writers. Beginning in Belfast, where she lives, she visits a disjointed number of cities in Europe and the States – each one the occasion for an elliptical postcard home to herself… with an alert ear for fracture and disarray and a tender eye for damage, Drives is a passionate enquiry into what shapes us as individuals. One of the most strikingly original and exciting poetic voices to have emerged from Northern Ireland since the extraordinary debut by Paul Muldoon 35 years ago. Exact and casual and formally adept, a bit like an Irish (and female) Frank O’Hara, and not a bit like anyone else. Mercifully, these poems are not ‘about’ peace treaties, or carbon-consciousness, but about the act of apprehension itself: how one navigates through culture, language, history, expectation, with both a brain and a sense of humour… Tone, here, is everything. Flynn is mocking tourists; mocking herself for being a tourist; mocking her own egotism (‘St Leontia’) in researching the city; mocking the notion that ‘Rome’ could ever be visited or even located at all; and yet, somehow, through all these layers of amusement, a genuine voice can be heard, one perhaps frightened by its own desire for something more authentic. … Such currents of difficult feeling, beneath the wise, glittering fronts of her poems, make them all the more remarkable.